Pankaj Udhas contribution is Bollywood is also commendable. He has sung some the most popular ghazal like Na kajre ki dhaar…MOHRA; Jiye to Jiye Kese Bin Aap Ke.. SAAJAN; Aaj Phir Tumpe Pyar Aaya Hai ...DAYAWAN and of course Chitthi Ayi Hai….that become a national anthem. 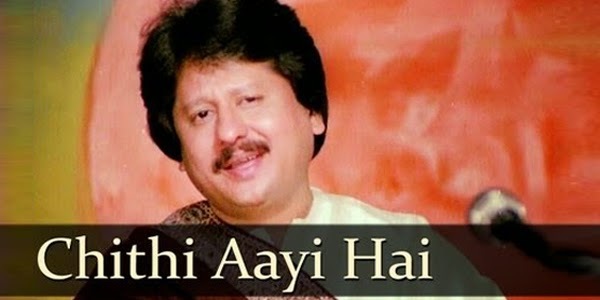 Pankaj Udhas completed 25 years in ghazal singing in 2006 for which the government of India saluted him by conferring on him the government of India’s prestigious civilian award Padma Shri. Pankaj Udhas feels it is high time to discover young budding ghazal singing or else the future of ghazal in India will in dark. Hence to give wings to the conception three ghazal maestro Pankaj Udhas, Talat Aziz, Anup Jalota initiated a new music club called Music Mania in November 2013 with the mission of hunting young promising talents in ghazal singing and give them a platform to reach out to the world. Raaga.Com wishes best of luck to Pankaj Udhas and grand success to Music Mania to succeed and revive Ghazal, the cultural heritage of India.